e’s are good – He’s Leonard Euler. Having recently starting a topic on the exponential function, I was really struggling to find some good resources online – which is pretty surprising given that e is one of the most important and useful numbers in mathematics. So, here are some possible approaches. This is always surprisingly popular – and a great starter which reinforces both that e is infinite and also that it’s just a number – so shouldn’t be treated like other letters when it comes to calculus. 5 minutes: How many digits of e can students remember? Recital at the front. You can make this easier by showing them that 2. 7 1828 1828 45 90 45 they only need to remember 2.7 and then that 1828 repeated, followed by the angles in a triangle – 45, 90, 45. Good students can get 20 places plus – and for real memory champions here are the first 1000 digits . Euler is not especially well known outside of mathematics, yet is undoubtedly one of the true great mathematicians. 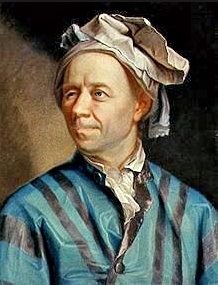 As well as e being named after him (Euler’s number), he published over 800 mathematical papers on everything from calculus to number theory to algebra and geometry. The above graphic is taken from the Maths is Fun resource on Euler’s bridge problem. It’s a fantastically designed page – which takes students through their own exploration of how to solve similar problems (or as in the case of the 7 bridges problem, understanding why it has no solution). 30 minutes – why e ? This is a good activity for students learning about differentiation for the first time. First discuss exponential growth (example the chessboard and rice problem ) to demonstrate how rapidly numbers grow with exponential growth – ie. if I have one grain of rice on the first square, two on the second, how many will I have on the 64th square? 4) The beauty of e.
a) Euler Identity – frequently voted the most beautiful equation of all time by mathematicians, it links 5 of the most important constants in mathematics together into a single equation. b) e as represented as a continued infinite fraction (can students spot the pattern? – the LHS is given by 2 then 1,2,1 1,4,1 1,6,1 etc. So, hopefully that should give some ideas for looking at this amazing number. (The post title will be lost on anyone not a teenager in England in the 1990s -to find out what you’re missing out on, here’s the song). 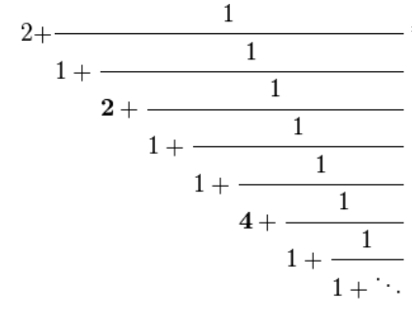 Cesaro Summation: Does 1 – 1 + 1 – 1 … = 1/2? – a post which looks at the maths behind this particularly troublesome series. 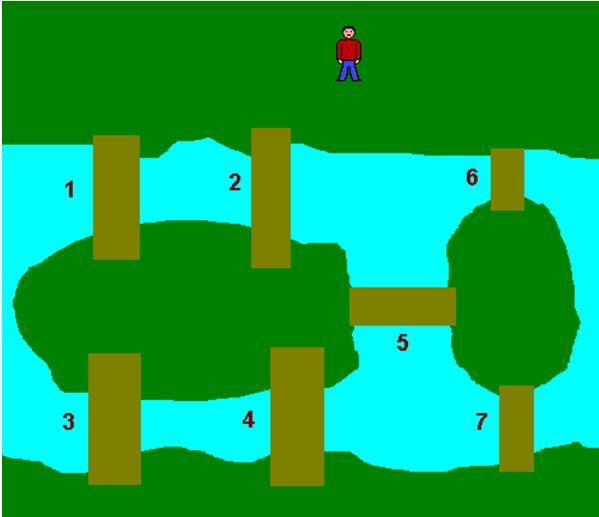 A Maths Snooker Puzzle – a great little puzzle which tests logic skills.